Jordan Hankins pictured at Welsh-Ryan Arena during a game. She died on Monday afternoon. Jordan Hankins, a Weinberg sophomore, died Monday afternoon in Foster Walker Complex, according to an email sent to residents. 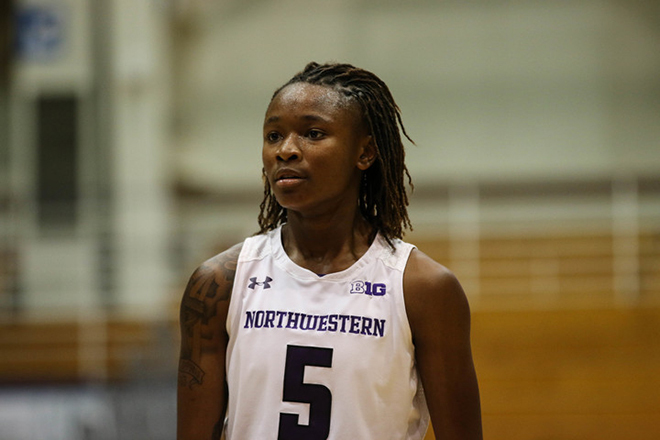 Hankins, a resident of Plex from Indianapolis, was a sophomore on Northwestern's women's basketball team pursuing a pre-med track. Police investigating the death say there was no foul play involved. The Cook County Medical Examiner said Tuesday that her death was a suicide. Members of the Northwestern community, including a representative from CAPS, were available in the Foster Walker West lounge Monday night to help Northwestern students cope with the news. Editor's note: This story was updated on Jan. 10 at 9 p.m. to include Hankins' cause of death.